(Leer en español) Arenal is a popular neighborhood of Seville. It brings Sevillian and visitors together to enjoy the festive atmosphere, especially on weekends. 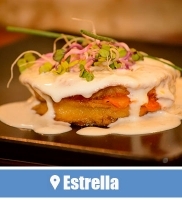 In addition to culture and tradition of Seville, it is an exceptional opportunity to enjoy the tapas bars in the city, where we will see the best tapas bars in Arenal of Seville. At one time it was a covered area of sand that was outside the walled area of the city. It was the port area where all the news products entered to the city coming from America. Because of this, we can see the ancient Atarazanas in Arenal, large buildings where boats were made. 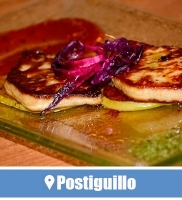 In Arenal are also the Arco del Postigo, mythical place of the city, and the Craft Market ‘El Postigo’. 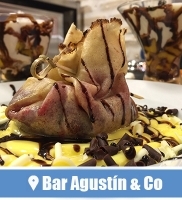 In addition to the best tapas bars in Arenal, is important to note that the bullring of La Maestranza in Seville is located in this neighborhood outside the Guadalquivir river. With the same name, is the Theatre of La Maestranza, where you can enjoy musical performances, dance, opera and theater. 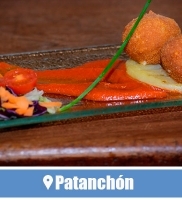 – ¿Esto hay en el Arenal? – ¿Esto sólo os maravilla? – ¡Es a Babilonia igual! – Is this the Arenal? – Is this just you wonder? 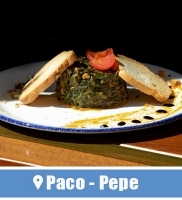 We have already said that this is a hot spot of traditional Andalusian and Sevillian cuisine. In its streets you will find people of all kinds, fans of various cultural activities that they develop. 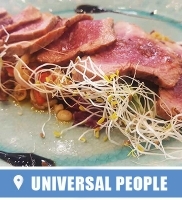 They all have something in common, it is easy to spend leisure to gluttony, enjoying one of the best areas of restaurants in Seville. 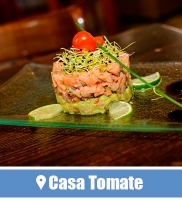 These are some of the best tapas bars in Arenal. In Adriano street, opposite the Brotherhood of the same name and next to the bullring La Maestranza is Baratillo. 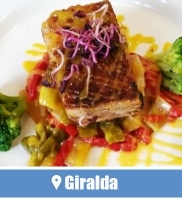 A large restaurant with two rooms dedicated to the Seville passion, bullfight and tradition of southern Spain. Enter to the Baratillo, make you step back in time with the decorating style. Wooden ceilings, stone walls and antique objects like wooden benches with two centuries in their legs. These stone walls are adorned by one of the most complete collections of bull heads in Seville. 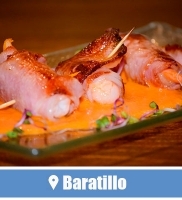 All this make Baratillo one of the best tapas bars in Arenal, becoming the best known bullfighting bar of Seville. In the same street Adriano, as a starting point for paseillo (walking) to the Tendido 11 (Preferent bleacher 11) of La Maestranza is Casa Pepe Hillo. Another of the Sevillian bullfight bars most traditional, also adorned with a complete collection of bull heads. To this bullfighting tradition at Casa Pepe Hillo, which takes the name of a Sevillian bullfighter, joined by a decor inspired by the Parisian salons of the last century, with iron and wood beams, French chandeliers and collections of old books. 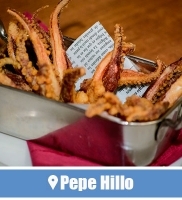 Located in the old Casa de las Moscas (House of Flies Building), we can say that Casa Pepe Hillo is also one of the best tapas bars in Arenal of Seville. 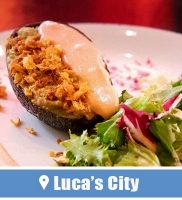 In Dos de Mayo street and opposite the Atarazanas (Royal Shipyards) is one of the top rated restaurants throughout the city. In what was a fish market, Postiguillo maintains the essence of tradition in its ancient walls and columns scratched by time. The bull heads are also the protagonists of the decor, inspired by old comedy theaters. There are large wrought iron lamps hanging next the wooden footbridges that cross the bar. 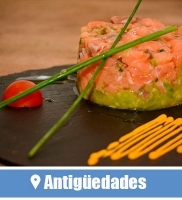 These are the best tapas bars in Arenal of Seville, where you will enjoy the decor, ambiance and cuisine. 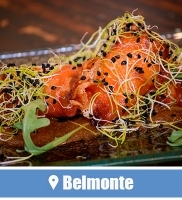 A top selection of wines and Iberian pork can be the gateway to a unique culinary experience. 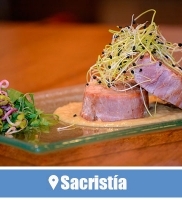 In their kitchens, tradition and modernity come together to show the world a typical Andalusian cuisine with modern touch. 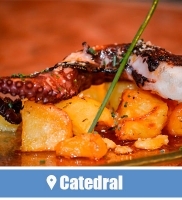 Seafood, meat and the southern orchard, are in the recipes of the best tapas bars in Arenal of Seville… are you coming?